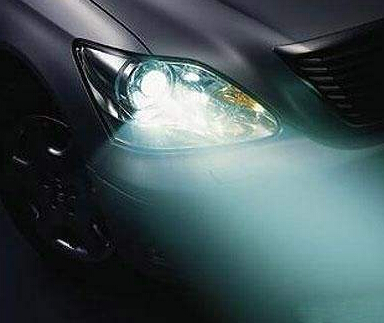 As consumers pay more attention to driving safety and the impact of better road lighting demand growth and other factors, and further promote the growth of the automotive lighting market. State-of-the-art automotive lighting systems are glare-proof, use infrared and ultraviolet light to identify obstacles, and market suppliers continue to introduce signals that adapt to changing environmental conditions and respond to emergency braking signals. New trends in the automotive lighting market have opened up new opportunities for businesses, especially in the lighting segment. Environmental lighting is one of them, can be installed on the vehicle to create a different experience, which make users physically and mentally pleased. The global automotive lighting market can be technically divided into halogen lamps, LED lamps, and xenon lamps. According to OFweek Industry Research Center’s “2017 LED Automotive Lighting Market Research Report” (hereinafter referred to as the report), the penetration rate of domestic LED lamps and lanterns is about 10% -15% in 2016. The overall market size of LED lamps and lanterns is more than 5 billion RMB, According to the 20% penetration rate of LED lamp 60%, the domestic auto market in the next few years’ sales growth rate of 5% compound estimated that by 2022, the domestic LED lamp market is expected to reach 76.6 billion RMB. LED car lighting market growth rate has been rising year by year, but the automotive supply chain industry ecological are conservative, product certification need a long time. Most of the current supply of automotive components are monopoly by a small number of international companies. Though Taiwan factory deliberately breaking barriers, the proportion of supply is still limited, and the rear access to the maintenance market is relatively low barriers to entry, more conducive to new entrants into the supply chain. The recent Mainland LED industry stars such as China, Hongli has been actively snatched into the strategic alliance with the mainland lamp factory, and Taiwan-based LED plant, such as Everlight, Ronda, Edison, United Carnival, etc. also continued layout, will have the opportunity to grab business opportunities. Although the mainland car repair market will show a multiple growth, all the businesses have to get into, will lead to the initial product into fear of mixed good and bad, and price competition will lead to less profits than expected, challenging the thinking of car LED orders with higher gross profit fans. It is expected that will enter a new round of industrial knock-out, testing the cost control of various businesses and technical capabilities.